I quit ministry once, did you know that? Well I did. I joined the Christian Writers Guild and went to work in a church to pay for my classes. Within 12 months, I buried ten of my closest friends, lost the only school my kids had ever known (Bankruptcy), and my birth father showed up on my door step – homeless, jobless, and penniless. To call me pressed would be an understatement. There were also relational conflicts with the people who were still living, and I’d reached my limit. So I packed up my little bag of sorrows, handed my hopes and dreams back to God and essentially told him, he could keep them. I was done. I didn’t quit God, per se’ , I just quit ministry. It wasn’t worth it, the church wasn’t worth it, people weren’t worth it, and little old me just wanted to curl up in a hole somewhere and die. Not only was I throwing a pity party, I had hats, streamers, favors, and cake. Lots and lots of cake. – which would explain the 50 pounds I gained. No one warned me about spiritual warfare. I wasn’t equipped. The truth is though, while I may have turned in my resignation to God – He didn’t resign on me. My gracious and wonderful heavenly father, poured out his Spirit into my wounded soul and blessed me with a rather unusual gift. I don’t remember doing that. But lo – a few measly months later, I get an email from Chonda’s best friend Alison asking for help. 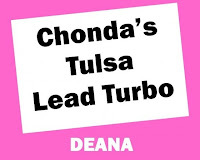 Ali wanted to know if I would be a Lead Turbo for Tulsa as Chonda and Kenn Kington were coming to the Brady Theater that Spring. Turbos are men and women who help coordinate volunteers at these comedy concerts as well as work with the promoters to get the word out to area churches about Chonda’s concerts. It’s a lot of work and it is so worth it. I reminded God that I had quit ministry and He gently reminded me that I had signed up for this and should probably keep this commitment. Just this one then we’ll talk. So I did. I coordinated volunteers, brought my bible study ladies to the show, worked with Bob at Trinity Communications, met Chonda and Kenn, shook in my boots, and promptly ran away. I was a mess. I couldn’t believe that God would allow me to do something like that. Why was he blessing me in the middle of a temper tantrum? Maybe he knew something I didn’t. I’ve been volunteering as a Turbo now for almost six years or so. I don’t run away any more and I’ve made the most amazing turbo sister friends in the world. I’ve learned how to love and how to live again. Not because of Chonda, but through her and through God’s grace. I didn’t know her story when I agreed to do this and now that I do, I wouldn’t stop. She is just too funny, too precious, and loves God in ways I can only imagine. So… Turbo action here – The picture above is of a few of her national leads, myself included, in Nashville Tennessee in February 2009. We decided among ourselves to surprise Chonda and go to her video taping of This Ain’t Prettyville and help anyway we could. The taping was a pure blast as was finally meeting other turbos face to face. Here is where you come in – CMT has chosen to pick up Chonda’s new video and air it as a Comedy Special. We need your help. America’s funniest female comedienne Chonda Pierce on CMT!!! We need your TV tuned in to CMT for Chonda Pierce, This Ain’t Prettyville, CMT – September 15th! This is your chance to impact network TV. By simply tuning in, you are casting a vote through the ratings system for great family laugh-filled entertainment – which we all need more of. Be a part of the Chonda Team! Cast Your Vote! We did it! We faced the snow, rain, and ice and we made it to Nashville. Driving through Kentucky had me white knuckled and tense, but Rena and I made it in time to see everyone. I can’t write about the video taping other than to say “Wow, I had no idea all that went into it.” You’ll just have to wait for the release in March to see the final cut for yourselves. Meeting my Turbo Girlfriend’s face to face was so much fun. Here are some pictures for you. This is our Turbo Gang. 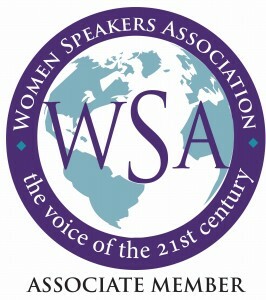 We coordinate the volunteers for Chonda’s comedy concerts when she comes to our cities. People kept asking us if we were a fan club or groupies and even though we tried to explain what we were, they would just smile and nod, so we left it with “Yes, we are Chonda Heads, we travel the country and sleep in tents.” This is honestly, the greatest group of gals (And one guy) you would ever want to know. We came in from Ohio, Indiana, Tennessee, Missouri, and Minnesota to help support Chonda. Chonda’s best friend Alison is our Turbo Coordinator. This is the gal who recruits, encourges and strenghtens all of us. I can see why they are best friends. Alison is a screaming riot. I loved meeting her face to face. This funny man, with the freakishly huge hands is LeLand Klassen. LeLand was one of two opening comics that night. He’s hilarious. And please know I am not making fun of him when I call his hands “freakishly huge,” that is actually his line in his act. He uses his hands a lot as a comedic prop if you will. He is also a true professional. He completely blew his knee out just four weeks before filming and hobbled his way, in a leg cast, through the acts of the DVD and did a great job. Goosing should not be allowed, but hey when you are standing to a wirey, ornery blonde, things are bound to happen. Zan was discovered when she won a radio contest in Florida to open for Chonda and she’s been traveling with her ever since. Zan is also in the video and I can see why. This girl is a total crack upi. Of course me and Chonda. It was almost midnight when we took this picture and that poor gal had to get on a tour bus right after this and go to Shrevesport. I do not envy her schedule. Sorry about the bug eyes. I was tired to say the least. Now for some simple random shots of me and Nashville. We had time to kill after the show and a few of us got silly on main street. My kids are home today. The ice storm has shut down the city, forcing schools to close, my husband to work from home, and my bloodpressure to raise ever so slightly. We can’t be closed today! – I have to get ready for Nashville. I have laundry to do, floors to mop, clothes to pack. I need to have today to myself – I don’t have time… and so the whining goes. Frank Sinatra knew what he was saying when he sang “My Way.” I love that song. Mainly because it’s probably the story of my life. Not that I have control issues mind you, I just like to get my way. Several months ago several of my internet girlfriends and I decided to drive to Nashville for Chonda Pierce’s new video taping on January 29. We made these plans long before we knew what the weather was going to be. Sure enough ice and snow has hit many of us. But that isn’t stopping any of us. What is it that makes this trip so special to all of us? We are Chonda’s National Turbo Team. We help hostess and promote her concerts when she is in our town. Most of us know each other through email and we have helped, encouraged, and prayed with eachother over the years. This is the first time, most of us will be in the same room together and we are excited. All of us are involved as Turbos because we love Chonda and want to be a source of encouragement and help for her. She is not only a great commedian, she also has a wonderful message. Helping get the word out about her shows, is the least we can do. This is going to be a fun week. I just need to get past the ice and snow. I have several things to blog about when I return. Next week things will calm down again and I can get back to the business of writing. Today, I can get down to the business of being mom and knowing that things will work out if I can just remember to breathe and trust God with the details.